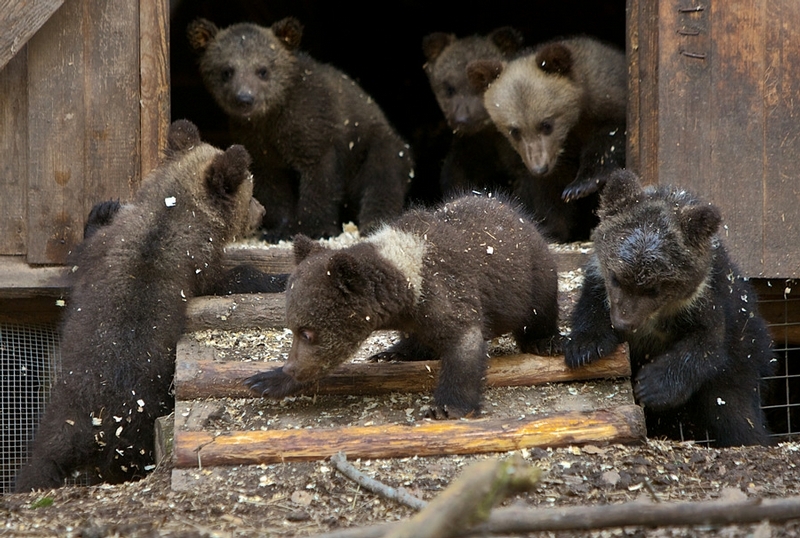 This is an unusual bio-station in the Tver region that has become a kindergarten for 200 of bear cubs. 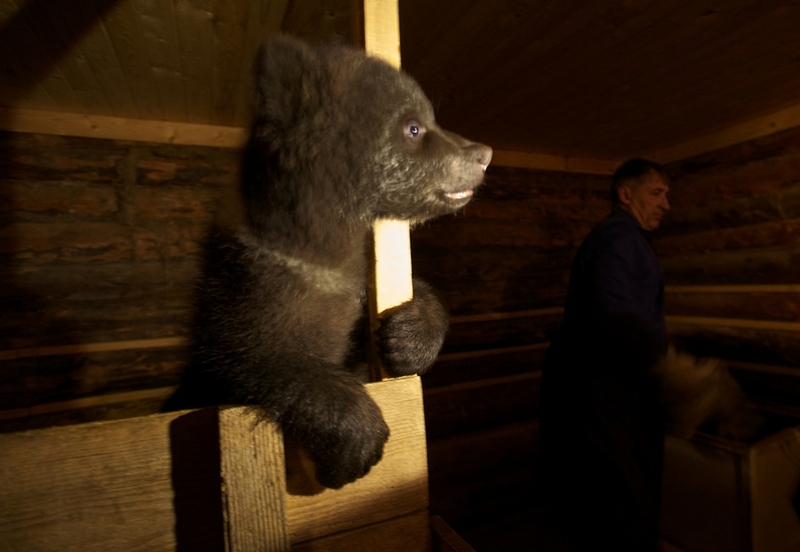 Their parents are usually killed while hunting in winter and little cubs are left alone, fully unprotected. 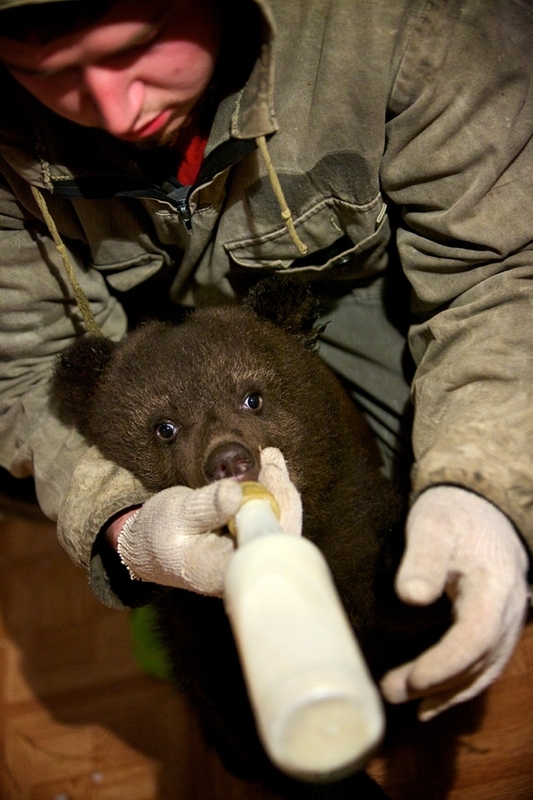 The saved cubs are fed and grown trying to avoid their contact with people in order they could susrvive in wild nature when leave. When they become strong enough they are let out in the natural habitat. 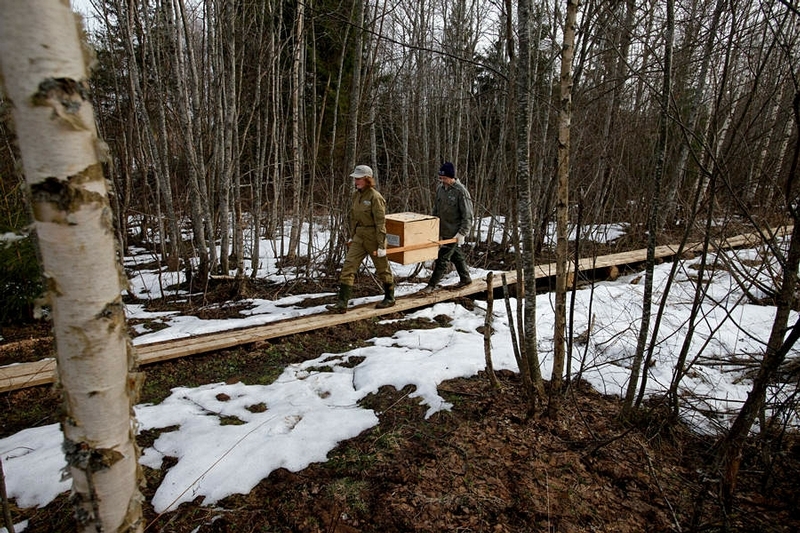 This bio-station has become a model for another one, created in Canada where they grow grizzly cubs not taming them. They are so freaking cute! 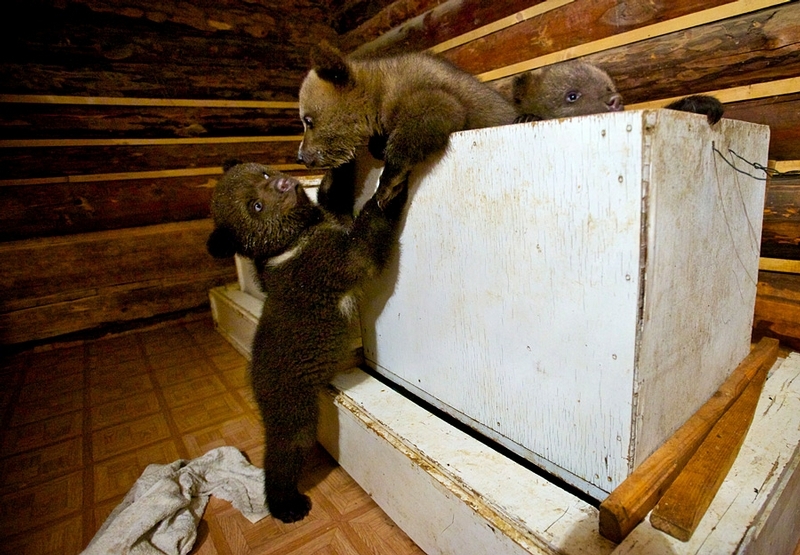 These folks do good work, rescuing these little guys. 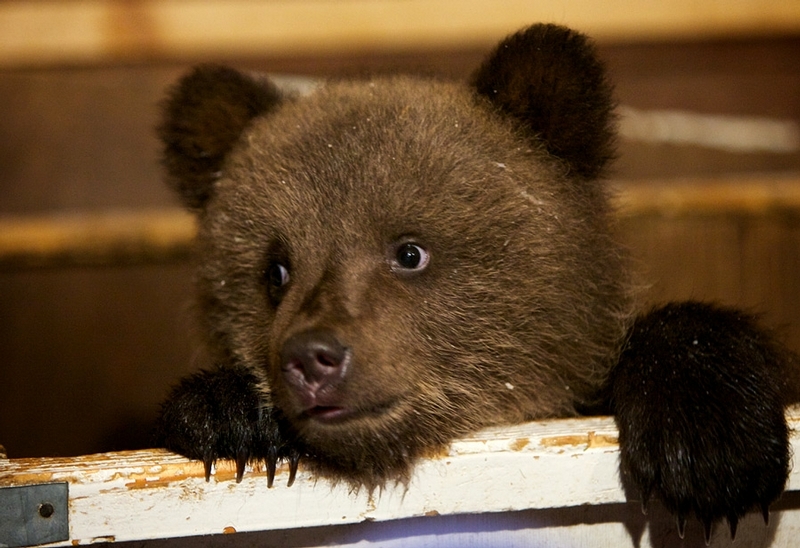 I wish there was a variety of bear that looks the same, but would stay tiny, that we could have as pets. Next time find more pictures of these beatiful beast! 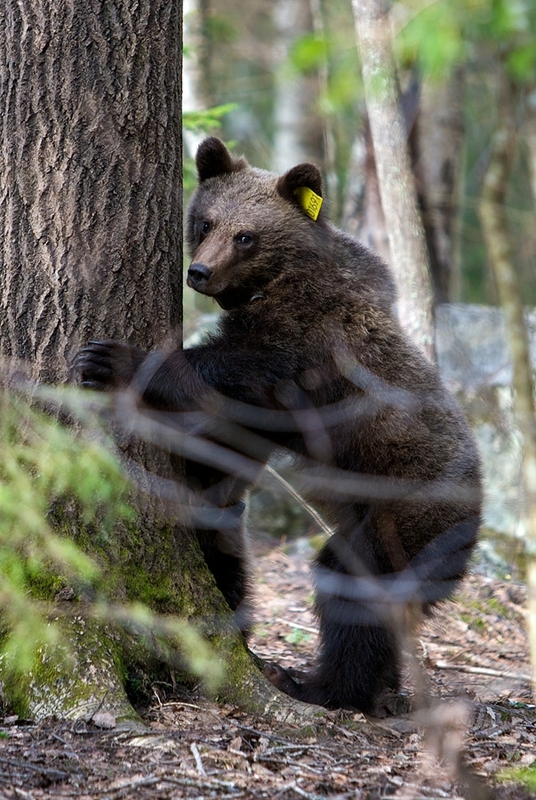 Bears are very smart animals; and eat anything from blue barriers to wild meat or fish. Raise a cub you going to have a good friend for life; long ago in circus seen a bear ride bikes and motor bike, and many years ago more than fifty, in Lisbon, the circus Russian company have had one bear that drove a car in the city of Lisbon. We love our bear here in Florida. A woman noticed that all the food on the lower shelves of the ‘fridge was disappearing. One day she looked through the glass door of the kitchen to see her 4 year old feeding a bear by hand.